Ruth Dreifuss (born in 1940, single) studied in Geneva where she received a degree in economics with special focus on econometrics in 1971. In her varied professional career she served as hotel secretary, editor of the weekly journal Coopération, social worker, and assistant at the Geneva University. She then worked nine years for the Swiss Agency for Development and Humanitarian Aid (Federal Department of Foreign Affairs) and became in 1981 Secretary of the Swiss Labour Union Federation. In that capacity, she was responsible for sectors including social insurance, labour law, gender equality and relations with the International Labour Organization (ILO). Ruth Dreifuss was elected Federal Councillor (Member of the Swiss government) in 1993 by the Federal Assembly (Parliament), and was re-elected twice. From 1993 to her resignation in 2002 she was Head of the Federal Department of Home Affairs, the ministry responsible for public health, social insurance, scientific research, higher education, gender equality and culture, as well as the environment until 1997. During the year 1999, Ruth Dreifuss was President of the Swiss Confederation. As the Federal Councillor in charge of public health and social insurance, she implemented a new policy in the fields of drug addiction and prevention of HIV/AIDS. She also oversaw the introduction of the new law on health insurance, which guarantees universal coverage for the Swiss population. After her retirement from government, she chaired the commission mandated by WHO that reported on public health, innovation and intellectual property rights, and co-chaired the High Level Panel on the same subject, which was mandated by the United Nations Secretary-General. Ruth Dreifuss currently serves as a member of the International Commission Against the Death Penalty. 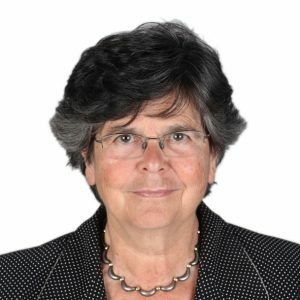 Ruth Dreifuss is Doctor honoris causa of the Universities of Haifa, Jerusalem and Fribourg (Switzerland).